On a traditional old-fashioned computer network (fat client), each client runs software using its own processor and, usually, from a local copy of the program. This has a number of downsides. Software must be installed individually on each computer. This can take a significant amount of time and because software versions and settings may vary, it may run differently on each computer. Because the software is running on the local processor and with local memory, the speed of the software is completely linked to the speed of the computer. Older computers will run software slower or even need to be replaced or upgraded to allow them to run the latest software. Imagine being able to break out of a continuous cycle of upgrades, time-consuming maintenance and unreliability. By moving the software from clients to fast central, secure servers, you can! Virtualising your desktops and applications revolutionises how computers are used, maintained and purchased. As software is run centrally (not just stored centrally), the speed or age of the client is unimportant. Looking after a thin-client network takes a fraction of the time compared to a traditional network and furthermore, offers better performance at a lower cost. ThinIT is a tiny thin-client operating system capable of working on a variety of hardware platforms. It is developed in-house by Precedence. 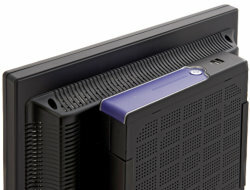 We supply a number of different hardware models with an optimised version of ThinIT pre-installed. ThinIT For PC software can be purchased to be installed on your old PCs. This will replace whatever is on the PC and turn it into a dedicated, centrally-managed thin-client, extending its life and removing any management issues. When buying new clients, get them with ThinIT pre-installed and optimised for the highest performance. 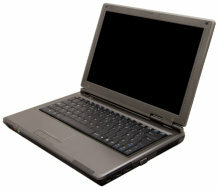 We provide both desktop and laptop models.